Aloha Poke Company - San Diego Dining Dish! 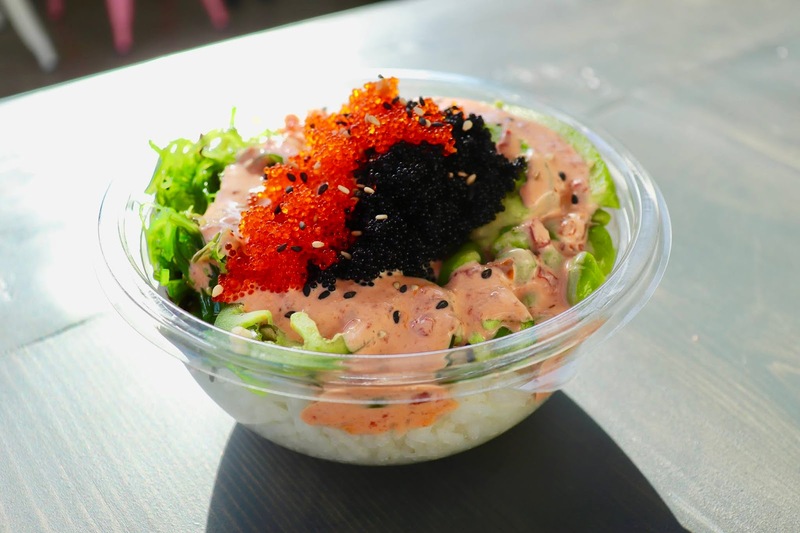 Poke is probably the biggest food trend to hit Southern California since sushi first started appearing heavily in the 1970s. A Hawaiian dish of raw, seasoned fish and rice, poke is much easier to prepare than sushi, and can easily be customized with sauces and toppings to make a unique flavor and texture. 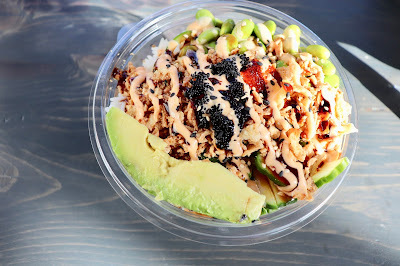 Poke focuses on big flavors and a healthy, filling meal, so it makes perfect sense that San Diegans have so heartily embraced this Pacific favorite. Aloha Poke Company is a new concept in poke that is combining the ease of poke with the casual ambience of a counter service restaurant. 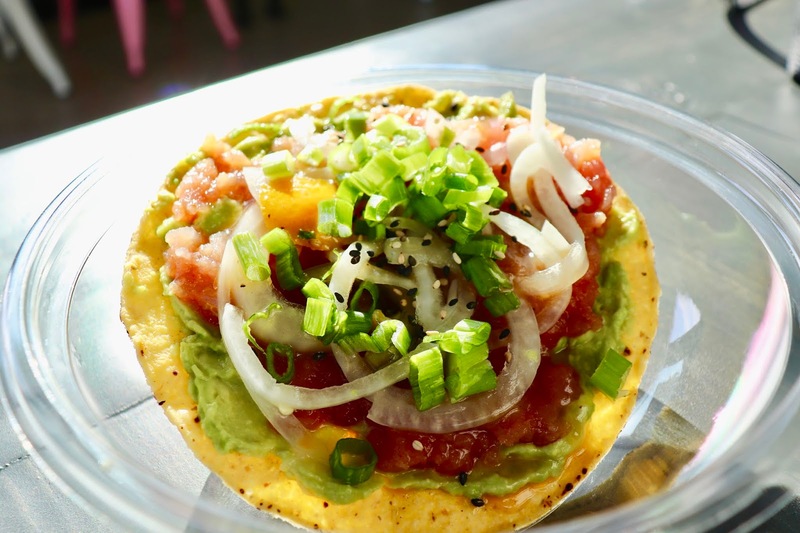 Using the same system of preparation as many fast-service burrito and pizza shops, Aloha Poke prepares poke to order, combining the ingredients as the customer moves through the line. The result is a portable, fast, and delicious meal that is big on flavor but easy on the waistline. We were invited to try out their fast food approach to a Hawaiian classic. 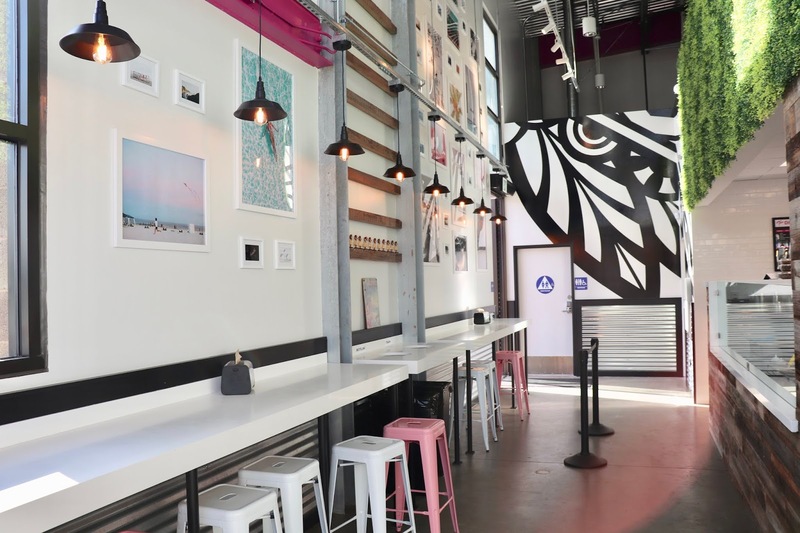 The decor at the Pacific Beach location is what I would call California casual, with plenty of color and personality. 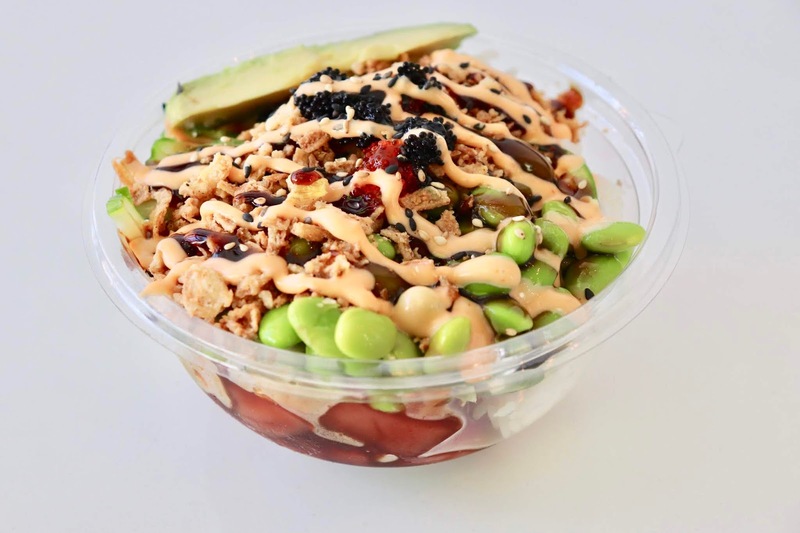 The atmosphere is open air and fresh, lending to the feeling of lightness and ease of a beach location, as well as the easiness of slipping into a bowl of poke. The menu, as stated previously, can be a mix and match of any type of bowl that you want to build, but there are a few set bowls if you get nervous (like me!) and don't know what to order. I seriously freak out when I'm given too many choices! I need boundaries! I chose the most popular menu item: the Crunch bowl, with shoyu ahi tuna, edamame, jalapeno, cucumber, tobiko, and crunchies. I went on a limb and added avocado to my bowl, even though it did bother me to go off script. For our other bowl, we picked the Volcano bowl with toro tuna, seaweed, ginger, jalapeno, tobiko, and a spicy sauce. Both bowls were delicious, and super customizable. Pick the type of protein (tofu is also available), rice or noodle base, and fill the bowl with all sorts of poke topping goodness. There are also three sizes available -- great to size up or down according to your hunger. Also offered is a tuna crunchy, which is sort of like a tuna tostada, served on a tortilla with ahi tuna, sauce, onions, and scallions. It's a great little crunchy bite to compliment the larger bowls. 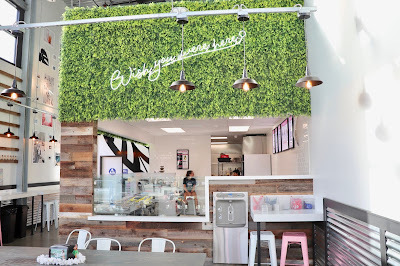 Aloha Poke Company is open for lunch and dinner in Pacific Beach!